A step-by-step how-to guide for brand and packaging design. Deliver breakthrough results every time with this proven creative process drawn from more than 30 years of experience. This book will change the way you explore, design and deliver concepts for brands and packaging ! when the book is published. 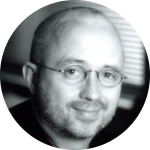 A Rare, C-level view to the thinking and methods of R.BIRD, a design firm with global reach and three decades of experience. I’m publishing this book “live” and sharing as it happens. Register below, follow along, ask questions, contribute to the end result. Why Process? Think “process” is pure “b.s. ?” It doesn’t have to be. A well-defined process is essential to your successes. One person or a team of 20. Procede will make you a believer. Real-World Examples. Every step backed up with illustrated results from real-world applications. Selling Environment. There’s a visual code in place. Learn how to see it, break it down, leverage it or deny it to your advantage. Communication. Right-brain loves the colors, but left-brain demands rationale. Learn how to build a well-structured information hierarchy. Complexity Kills. Simplification and limitations supercharge creative thinking with dramatic results. Design in Context. Never start with a blank sheet of paper again. Build rich context and fertile ground with words, images and color. Supercharge Creativity. Achieve extraordinary results with ordinary resources. Three days or three weeks. The concepts practically design themselves. Presentation Matters. All of the steps in this process generate beautiful documentation and rationale that stakeholders can take away. Getting to the One. Procede supercharges designer creativity. Output will multiply exponentially. So, we’ve developed simple tools to help make decision-making easier and more objective. Clarity. The real design problem is often buried in pounds of research and reporting. There’s a simple way to find clarity in what is already in front of you before the project starts. Words are Key. Learn how to build an expanded vocabulary and understanding of the project using simple, readily available tools. Areas of Opportunity. After only two or three simple steps, you will already begin to recognize “patterns,” and we show how to transform these patterns into key concepts for design development and strategy. THERE WILL BE OPTIONS. One is just right for you. Read the book in one day and put its concepts into practice the next day! The Bundle Essential R.BIRD capabilities documents in one Zip archive. 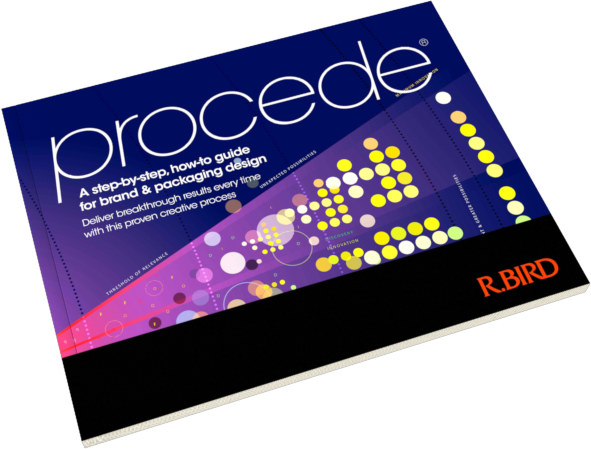 R.BIRD is a strategic branding and package design firm with years of experience. We get things done for strategy-minded organizations, large and small, around the corner and across the globe. All rights reserved. ©Copyright 1983-, R.BIRD & Company, Inc. R.BIRD® and PROCEDE® are registered trademarks of R.BIRD & Company, Inc. All other intellectual properties are protected by their rightful owners.